Tree trimming is a necessary part of yearly maintenance for most trees. Some trees will fill out and overhang fence lines or roofs, others will shoot straight up with one chute and look a bit awkward. It's important to understand the science behind trimming trees. Over trimming can lead to scarring, leaving the tree susceptible to infections and disease. 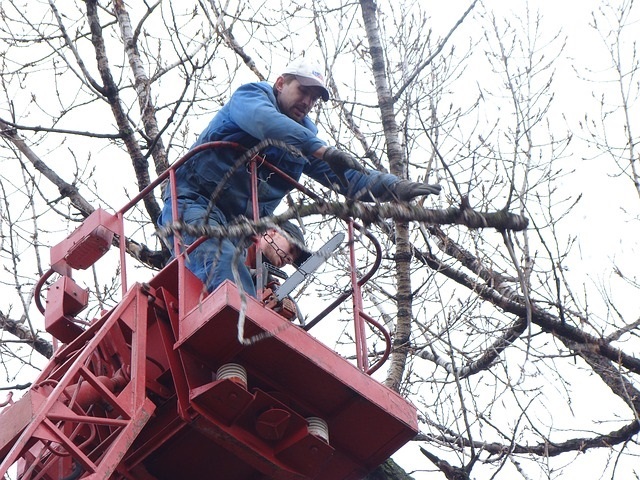 Therefore, the professionals at Tree Service Omaha make every effort to trim the correct branches with purposeful cuts that ensure the safety and longevity of each tree. People often wonder when the best time of year is to have their trees trimmed. The answer depends on your goal for the tree. If only trying to thin the foliage, it might be best to perform the trimming during the summer. Things to consider would include weather conditions, amount of rainfall, location of the tree, and conditions of your lawn. The major advantage to trimming and removing trees in the winter is the frozen ground causes less damage to the lawn.